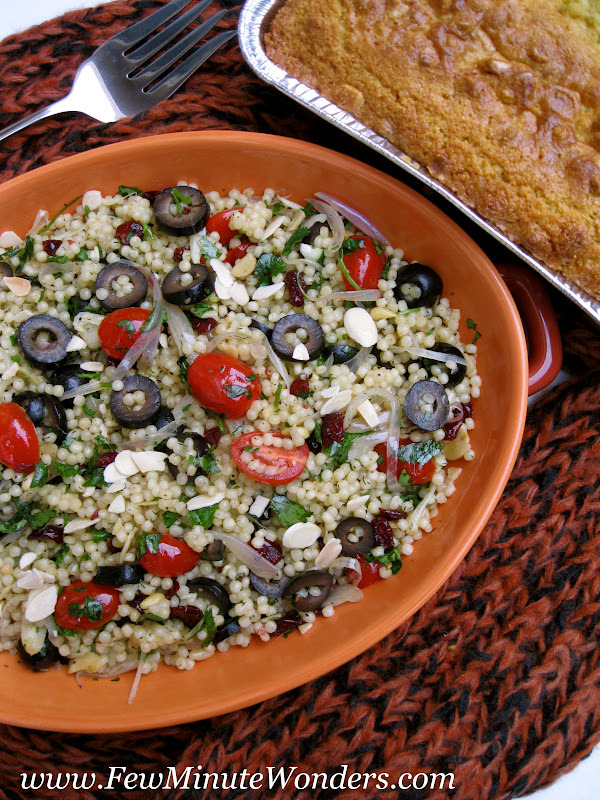 I enjoy cooking with Israeli couscous because it is super easy to cook with and everyone in my family enjoys it. The pearl like beads add texture and taste in salads that I keep making them often. 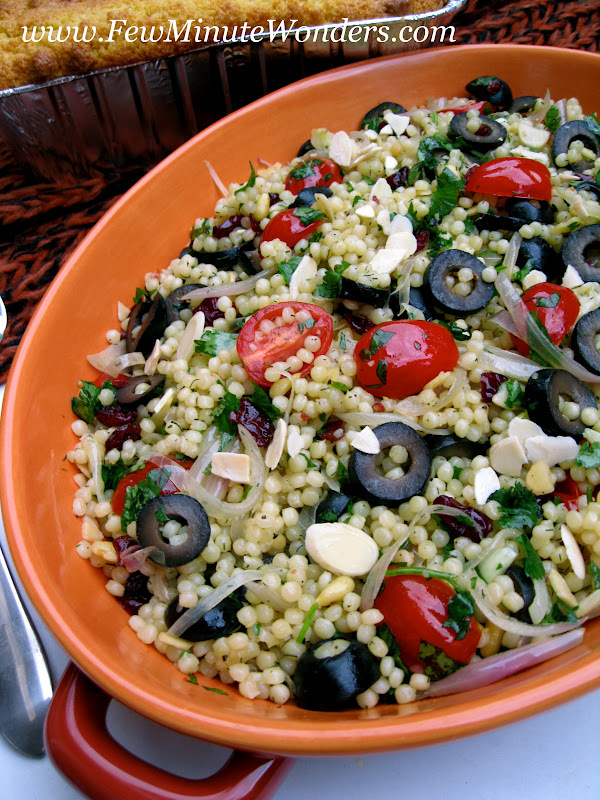 Apart from the couscous puloa recipe that I have posted here, I do make salads with couscous. This one that I have posted here is the one I tend to prepare more often and one of my families favorite. With the arrival of spring and fresh produce everywhere it is such a simple but delicious salad to have. I have to confess that I ate half of the salad in this dish that I prepared for dinner. 1. Heat a heavy bottom pan to medium heat. Add butter and oil. Allow butter to melt before adding garlic and shallots. Cook them well. 2. Add couscous to it and roast them until they turn light brown. 3. Add salt and water bring it to a boil. Reduce heat, cover and cook until the couscous is well cooked. 4. Remove from heat and transfer into a bowl. 5. Add spices, herbs, chillies, olive, tomatoes, dry fruit and nut. Drizzle in the olive oil and give it a toss. Lovely and colorful dish.. thanks for sharing dear !! looks yummy n perfectly done..salad looking colourful n nice. Such wonderful presentation, I could dig in with a spoon rightaway..
very healthy n new salad..yumm yum! Looks so colorful and bright! Very delicious!